The Heritage Hero award began in 2015, with the purpose of highlighting and celebrating leaders within Heritage Communities that exemplified the company’s core values of: Compassion, Respect, Trust and Fun. 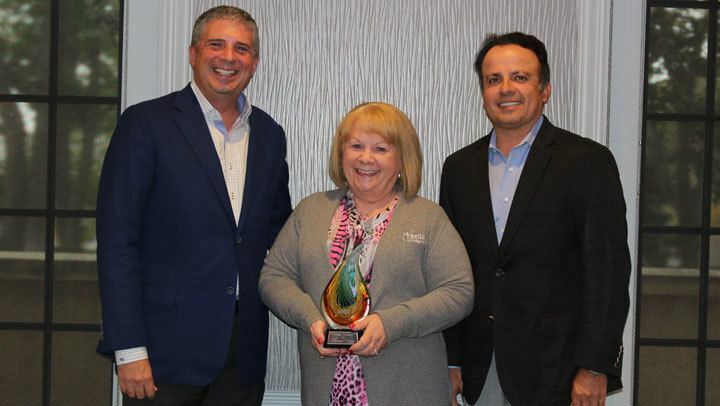 Out of 10 senior living communities throughout Nebraska, Iowa and Arizona, Stephanie Torczon, Executive Director at The Heritage at College View, received the award in its second year. In addition to living out the company’s core values, this award recipient manages to keep turnover and workers comp low. All the while, keeping high satisfaction survey results and a positive team morale. “Stephanie cares deeply about her building, her residents and her associates,” stated Nate Underwood, CFO of Heritage Communities. “She is quick to ask for more details or do a thorough analysis on any given situation, rather than just accepting the first answer. I love this kind of leadership, because it shows she truly wants to make the best decisions for everyone involved at The Heritage at College View.” Stephanie has been with The Heritage at College View for over 10 years. Her community has one of the lowest staff turnover percentages in the entire company, year over year. Under Ms. Torczon’s leadership, The Heritage at College View recently received recognition for Outstanding Customer Satisfaction, though My InnerView Research Corporation. This award recognizes communities that achieve overall resident satisfaction scores within the top 10 percent of the My InnerVier product database, which is the largest source of senior living satisfaction metrics in the nation.